Guatemala is one of the most-visited countries in Central America, and with Belize hosting over 300,000 visitors yearly, these countries are fast establishing themselves on the tourist map. This guide is completely updated and features a mix of cultural and practical information, with options in all price ranges. 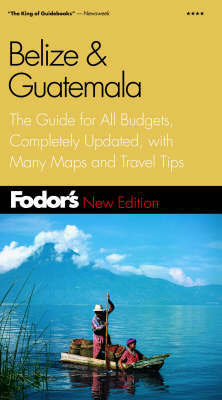 It also includes a chapter on smart travel tips, post-it flags, web addresses, great itineraries and Fodor's choice. In addition, the guide lists the latest sights and activities and up-to-date options for hotels, restaurants, shopping and nightlife.